FROM THE MIND OF TOM BELAND: SIMPSONS MADNESS THIS WEEK! My Bart Simpson story hits the shelves this coming week! 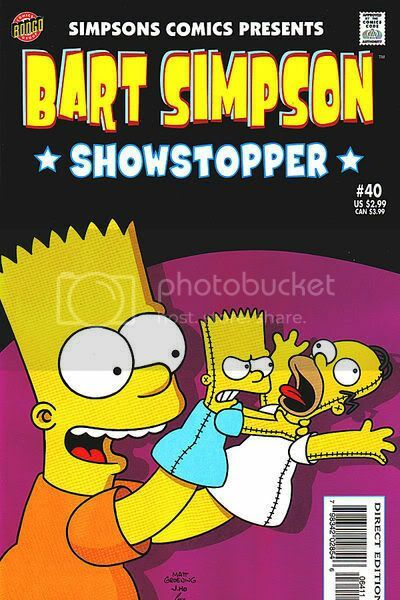 BART SIMPSON #40: Bart finds himself living the dream after landing a gig as the new Radioactive Man comic book writer; alas Comic Book Guy finds himself living his worst nightmare. Look for it this week! Enjoy! GOOD GRIEF! THE BEAGLE WINS! NEW ISSUE TODAY!! THE ENGAGEMENT ISSUE!